So Smart! 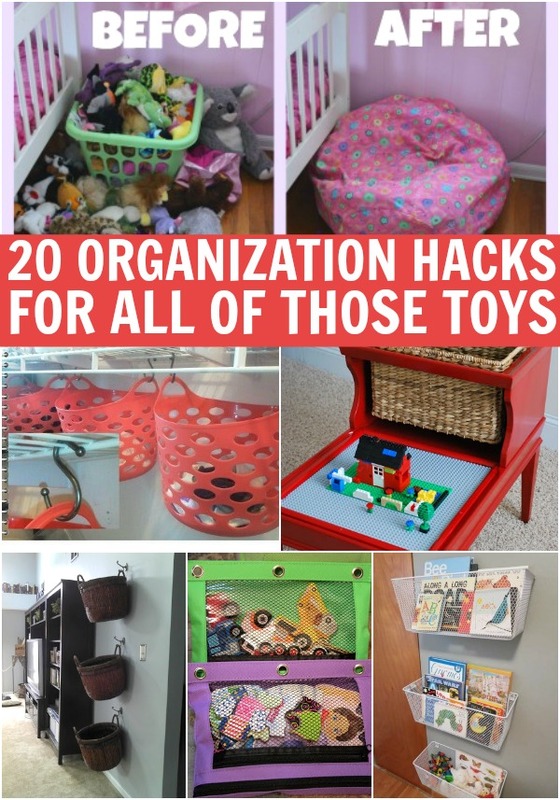 20 Hacks to Organize all of Your Kid’s Toys. 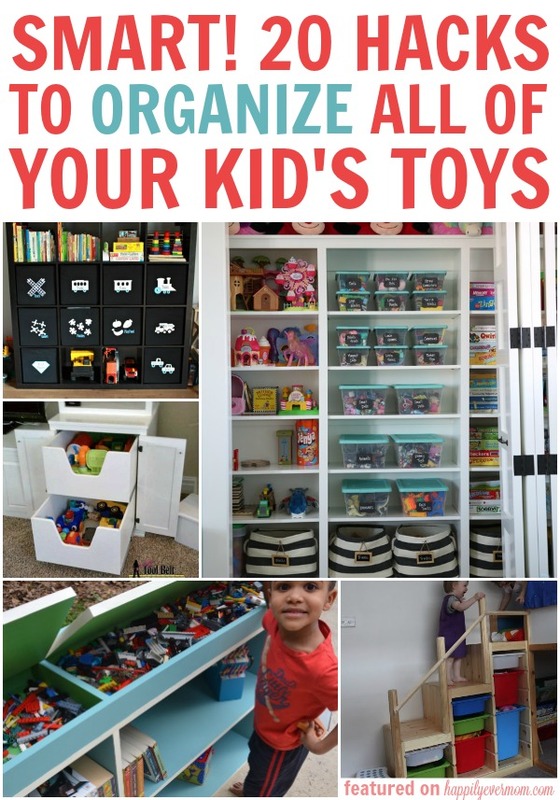 I love anything that will help my organize my kid’s toys. But, hacks are even better. 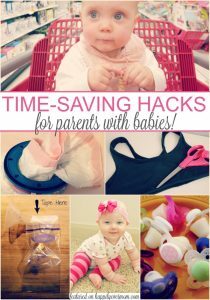 Hacks are genius ways to repurpose items around the house. 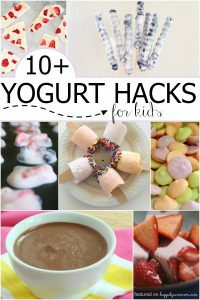 And, I love that most of these hacks are things that I’ve used in the past for it’s “true” purpose. For example, a shoe hanger for hanging shoes. But, now, I use them for my kid’s barbies. So smart! Make labels to keep toy clutter at bay. 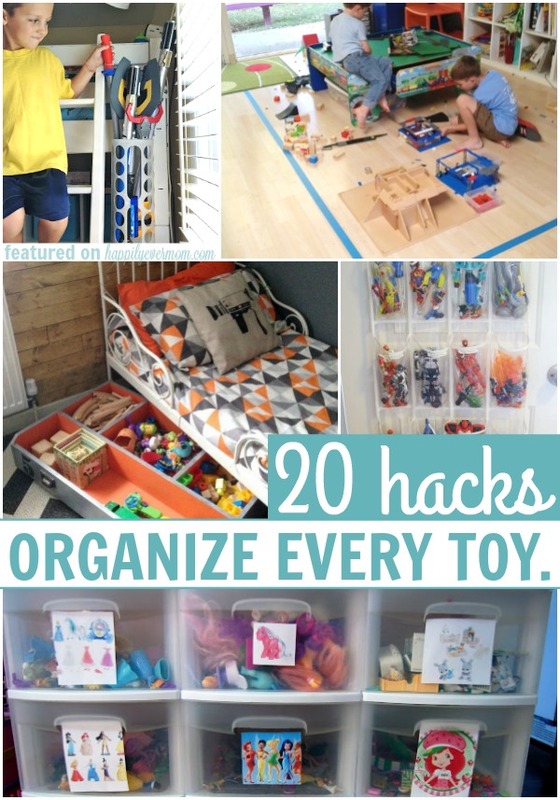 Or, make chalkboard labels to organize all of those toys. Build a media cabinet that houses toys too. 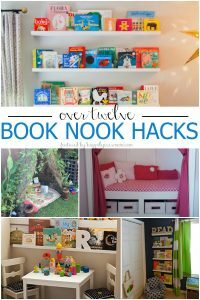 Hack a bookcase for storage on the top – perfect for legos or loose pieces! Turn storage into a ladder for your little one to climb to bed. This dresser hack to kid’s storage box is too genius to miss! Use painters tape as a quick way to tape off a play area (and keep toys from spreading all through the house). Make under the bed toy storage on wheels! If you’ve got tons of action figures, use this hanging shoe rack hack. If you have larger dress up clothes, I love this DIY dress up closet hack ~ too cute! Make bin labels for all of the different dolls, clothes, and accessories that they have. Organize all of your board games in the closet with this simple organization hack – so smart! Use bean bags to hide all of the kid’s stuffed animals. Use S-hooks to hang extra baskets in the closet for toy storage. Turn an old piece of furniture into a lego table and organizer. Keep hanging baskets in the living room for toys. Store all your puzzle pieces in one place with this great organization idea. Use baskets on the wall to store books. I love that something simple changes can have such a BIG impact on the way our homes are organized. It’s so smart.